This weekend is what summer is all about, outdoor fun! 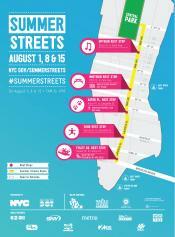 Take to the streets this weekend (literally) at Summer Streets in NYC. 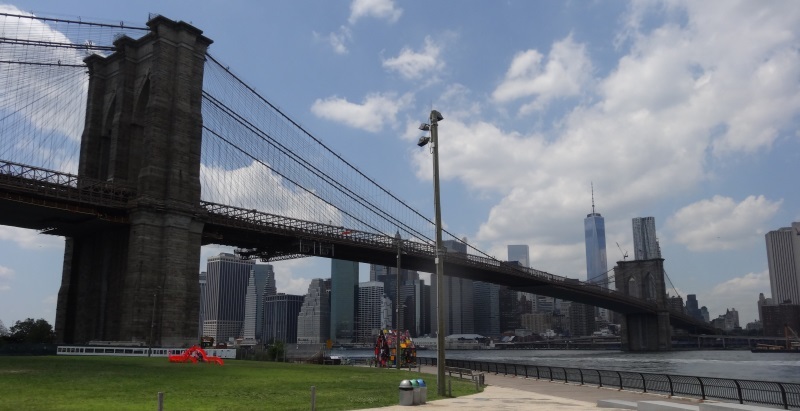 There are nearly 7 miles packed with biking, walking, activities and fun for all from Brooklyn Bridge to Central Park on Saturday. Also on Saturday is the Get Up and Go Family Adventure Race in Staten Island. Get a chance to run, jump, throw and compete as a family team. There are outdoor street festivals happening in Queens and the Bronx filled with arts and crafts, performances, fitness demonstrations and more. You can top off the outdoor fun this weekend on Sunday with SummerStage in Staten Island. Here are this weekend's picks. New York City parents sometimes find themselves uttering, “Why am I raising my kids here?” The stress and the commotion can sure take its toll. But sometimes we find places in this city where you stop and look and say, “This is why I am raising my kids here.” Brooklyn Bridge Park is one of those special places where you find yourself pushing your three-year old on a swing set with the entire skyline of downtown Manhattan in front of you. New York City may be gearing up for a brutal week of heat and humidity. However, that weather can’t stop this city from venturing outdoors and enjoying the warm weather. 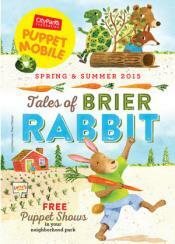 This week, we’re stopping by Pier 46 to see cinema under the stars, enjoying more Broadway performers for free, learning about YA books based in NYC, checking out a PuppetMobile featuring Brier Rabbit and jamming to Mother Goose. Here are our picks for the week ahead. Roses are red, violets are blue, summer is here and it's calling you. Like my poem? If you think you can do better then head to the New York City Poetry Festival happening all weekend long at Governors Island. Also happening all weekend long is the 37th Annual Thunderbird American Indian Mid-Summer Pow Wow at the Queens County Farm Museum. 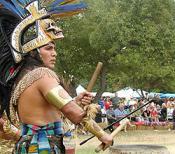 Intertribal Native American dance competitions will take place and you also enjoy a large selection of Native American art, crafts, jewelry and food. On Saturday you can celebrate the historic reopening of the High Bridge, NYC's oldest standing bridge on both the Manhattan and Bronx sides of the Harlem River. Or spend your day running through the sprinklers at Asphalt Green's Sprinkler Day. That's the end, that's all I have to say, now get ready, get set and go play! Here are this weekend's picks. One of the best purchases a New York City family can make is a Wildlife Conservation Society Membership. Not only does this allow families unlimited admission to the four main New York City Zoos and Aquarium, but every month members receive a mailer detailing the upcoming events at these amazing facilities. Needless to say, we were all excited by the news of the finished renovations to the Children’s Zoo section of one of our favorite destinations, the Bronx Zoo. The summer is heating up – quite literally. We’ve got some great selections for our families this week as we head into the final weeks of July. 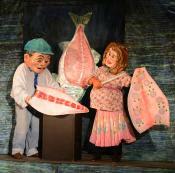 This week, we’ll be enjoying multiple Shakespeare performances, an American Indian Pow Wow, a rich roster of dance at the New Victory, a magical train ride that would make Harry Potter jealous, a mask and puppet show, a day of Caribbean culture just for kids and a very special young-adult book launch. Here are our picks for the week ahead. This weekend celebrate all things water. Taking place on Governors Island is the City of Water Day Festival with boat tours, waterfront activities music and more. At Socrates Sculpture Park in Long Island City you can create and then sail your own boat. Watch some professional volleyball matches and enjoy family friendly activities at the AVP New York City Open on the West Side in Manhattan. Or take a vintage train ride down to Coney Island as part of the kick-off to the New York Transit Museum’s annual summer of Nostalgia Rides and splash around for the day at the beach. So be sure to grab your flippers this weekend! Here are this weekend's picks. So many times we forget that our city of concrete and steel is a series of inter-connected islands and peninsulas. The surrounding waters of New York City have been a foundation of the city’s history, commerce and transportation for generations. Now is the perfect time to experience being on the waves firsthand or learn the city’s relationship with its surrounding waters. The heat is on New York City! 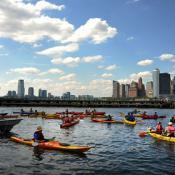 But that’s just another reason to get outside and celebrate City of Water day this Saturday. This week, we’ll check out musical selections from Finding Neverland and other Broadway plays and enjoying some great dance numbers at New Victory. And that’s not all. We’ll be going on a nocturnal adventure to observe bats on the hunt (eat your heart out Batman), checking out some awesome author readings in Brooklyn and learning about fitness. Here is the week ahead. Viva la Frida! Vive la France! Viva la everything this weekend! The Children's Museum of the Arts and the New York Botanical Garden are both having events to celebrate Frida Kahlo's birthday. Bastille Day parties are taking place on the Upper East Side and Brookfield Place on Sunday. There's also dance lessons for kids at Lincoln Center, Bug Day at the New York Hall of Science and a vintage bus bash at Governor's Island. Speaking of governor's you can say Ello Govnah! and watch the classic film Mary Poppins on Roosevelt Island this Saturday Night. Here are this weekend's picks. We hope everyone had a happy and safe holiday weekend, filled with family activities and some barbeque. Although the holiday is over, we’ve got several reasons to head outside this week and enjoy all that NYC has to offer. This week, we’re celebrating French independence, watching some Shakespeare in the park, taking dance lessons, enjoying art activities at the New York Botanical Garden, enjoying puppets and folk music, seeing tiny heroes do their thing and getting our face painted one more time. Here are our picks for the week ahead. Grab everything that's red, white and blue and take to the streets to celebrate July 4th weekend! Celebrate Independence Day at events all over the city. Nathan's Famous Hot Dog eating contest will be taking place in Coney Island (of course). The DiMenna Children's Museum and Children's Museum of Manhattan are having Independence Day family fun. And in the South Street Seaport the Seaport District is having an all day party with three stages all leading up to the main event - the Macy's 4th of July Fireworks! Happy Birthday America! Here are this weekend's picks.